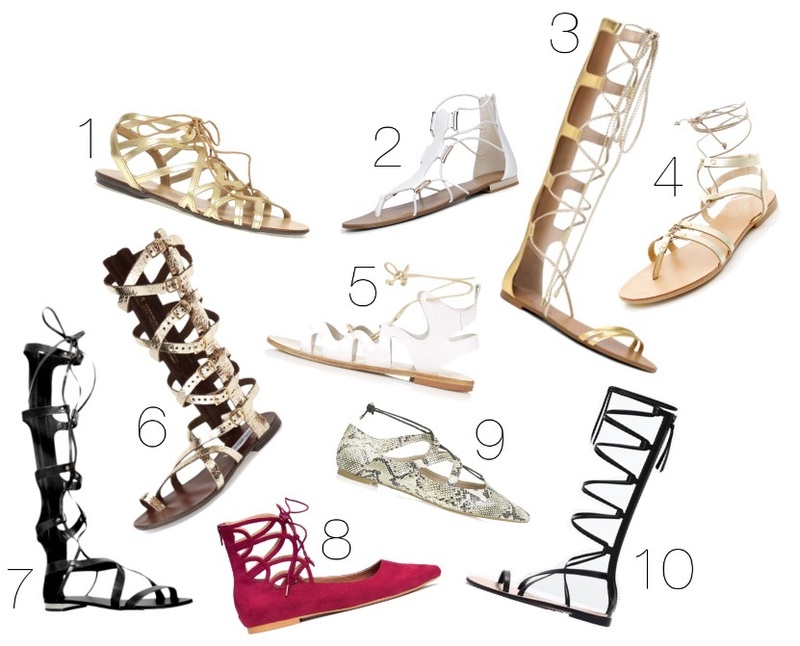 Whether they’re short or long, buckles or lace ups, gladiator sandals are the shoe to buy this summer! They come in all colours and shapes to suit every style and for every occasion. Personally I do think the long length versions may become tiresome and lose their novelty value but they do look great at a festival or on holiday, but just watch the tan lines! If your not sure either, go for a simple short style in a vibrant metallic or statement white. There’s even the option to combat cold winter nights with the shoe options. Here are my top ten from the high street right now! Which are your favourite? 1. Dorothy Perkins, £32. 2. Aldo, £39. 3. Aldo, £58. 4. New Look, £20. 5. Topshop, £39. 6. Steve Madden, £58. 7. Carvela, £130. 8. H&M, £20. 9. Topshop, £29. 10. Zara, £19. This entry was posted in Blog and tagged beauty, blogger, designer, fashion, footwear, highstreet, sandals, shoes, style, trend by gracegolding. Bookmark the permalink.